The Charred Council calls upon FURY to battle from the heights of heaven down through the depths of hell in a quest to restore the balance between good and evil and prove that she is the fiercest of the FOUR HORSEMEN. FURY is a mage, her form evolving throughout gameplay and with it, her powers and weaponry. 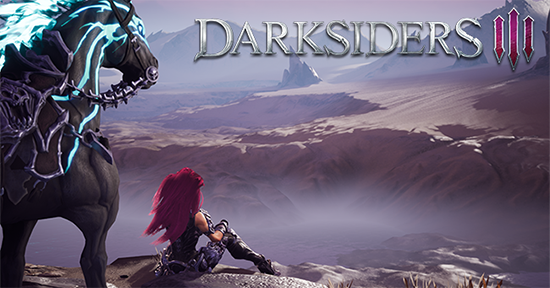 The expansive Darksiders III game world is presented as an open-ended, living, free-form planet Earth, dilapidated by war and decay, and overrun by nature. FURY will traverse back and forth between environments, battling other-worldly creatures and unlocking puzzles while advancing the Darksiders story. For some, the original song is a memory of their youth and/or upbringing. For some, this version (by Michelle Branch and Patrick Carney) is tied to the series of BoJack Horseman. For some, after watching this video, we hope the memory will be tied to the story of Fury in Darksiders III.